We believe that all children are special, individual, precious gifts from god. 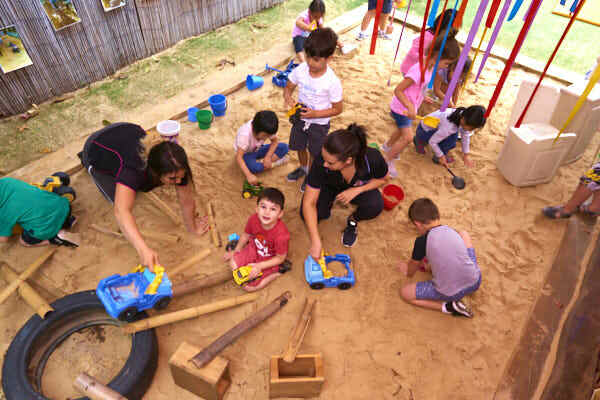 Con & Dora Savva always dreamed of opening a child care centre – and in January 2006, their dream finally came true with the opening of BarfaBearChild Care Centre. Barfa Bear has a real warm home-like setting. From outside the building you would not think it was a child care centre, and that’s how we like it! 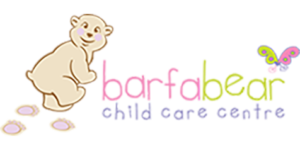 Barfa Bear is licensed for 36 children per day, between the ages of 2yrs-5yrs. We are open 7.30am – 6.00pm approx. 50 weeks per year, closing at no charge to families over the Christmas/New Years period. Barfa Bear is an air-conditioned building with security intercom for parental access. 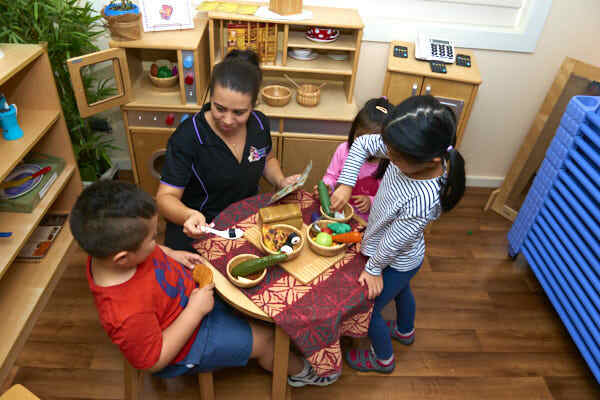 Barfa Bear has worked very hard over many years to establish such strong and respectful relationships with our local feeder schools, to ensure our Pre-School Cubs receive the best preparation for their start at “Big School”. Our main feeder schools are Regina Coeli Catholic, McCallums Hill Public, Beverly Hills North Public, St Joseph’s Catholic and Clemton Park Public. Annually we hold School Readiness Information Evenings collectively with Barfa & Mama Bear, with our feeder school Principals and Kindergarten faculty teachers always happy to discuss the best preparation for your child, always with highly impressive feedback from these schools of how well our program exceeds expectations and in particular in comparison to other local child care centre programs. Barfa Bear Has Two Playrooms. 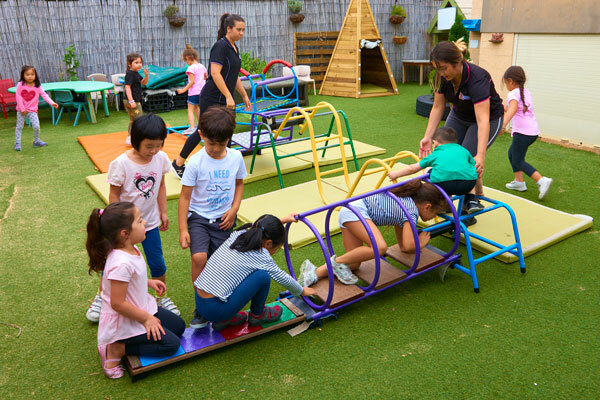 C. There will be on average 2-3 BearTeam Educators for this Playroom, being 2 qualified Educators, plus one Playroom Assistant who will hold either a Children Services Cert III or be studying a Children Services Cert III Traineeship. 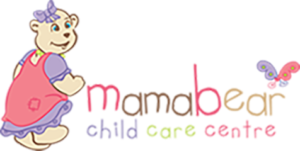 ~ Whilst the Playroom is shared, each age group have their own Educators who prepares a Weekly Interest-Based Program tailored for their particular age group, ie; Teddy Bears or Cubby Bears. This Educator would be your first point of call regarding any specific queries you have concerning your child’s development, as they know your child best! Barfa Bear has one L-shaped outdoor area equipped with both fixed and removable structures. The Educators prepare a Weekly Outdoor Interest-based Program providing varied and exciting physically active or quiet opportunities in the fresh outdoors for your child. 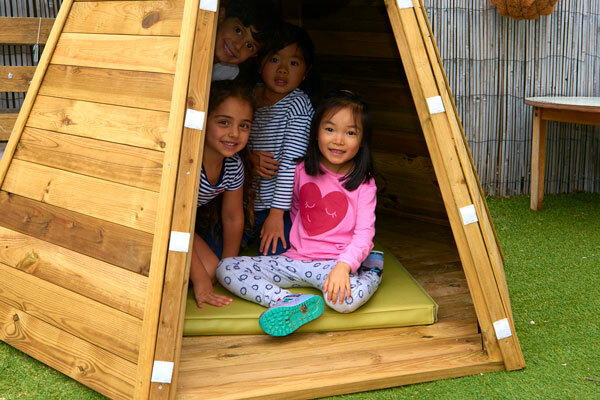 The new side outdoor area accessible from the PSC Playroom, can also be prepared for specific Pre-School Cub activities. 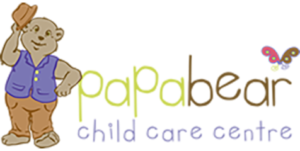 Barfa Bear also has a Kitchen with a Cook who provides wholesome, nutritious meals for your children; a Laundry for laundering sheets, blankets and uniform hats; and a Staffroom and Staff Bathroom for the BearTeam. 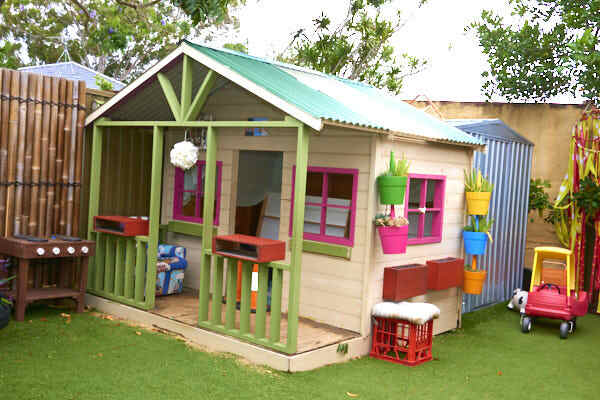 The children’s Washroom is shared between the 2 Playrooms and has nappy change, shower, and toileting facilities.